Please visit trip advisor to see more reviews. 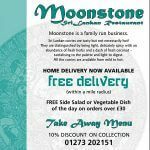 We are often compared to some of the best Indian restaurants in Brighton and Hove. 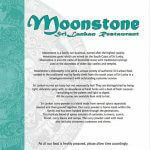 With very reasonable prices, and so much to choose from if you are gluten intolerant, there is no reason why you shouldn’t visit Moonstone restaurant in Hove, I wish I had been there sooner!